President Donald Trump shocked the country on Tuesday when he said he'd try using an executive order to end birthright citizenship in the U.S., but House Minority Leader Nancy Pelosi dismissed the claim as a baseless scare tactic. "Well, this is just more of the same of what he has been saying, taking babies out of the arms of their moms, putting them in cages, warning about a caravan that's over 1,000 miles away," Pelosi said on "The Late Show" Tuesday. "What he was saying today has no relationship to what his authority is. But that's, of course, not unusual." 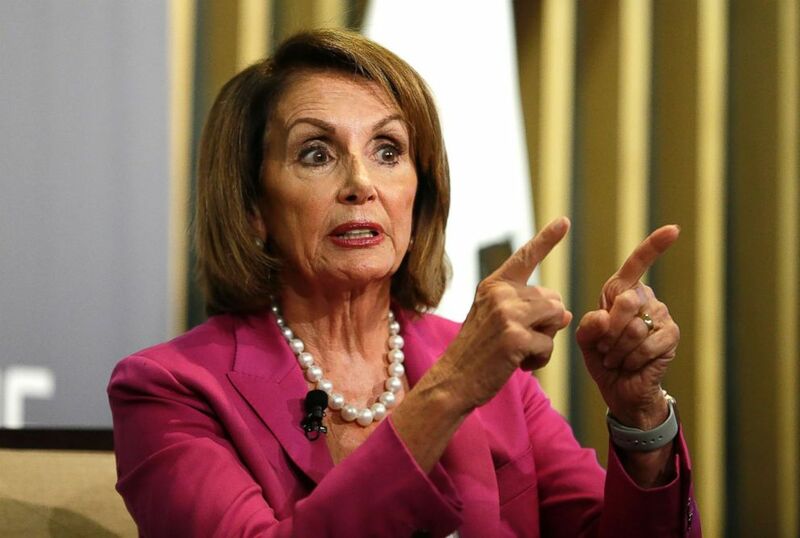 Pelosi, D-Calif., said it would be unconstitutional to rescind birthright citizenship through an executive order. "I just can't even imagine what our founders would be thinking to see a president to take an oath of office to protect and defend the constitution of the United States, and then abuse that," Pelosi said. "This is what this is the election is about -- checks and balances. A check and balance on this president." Trump said children born in the U.S. to non-citizens or undocumented immigrants shouldn't be granted citizenship, and he said he wants to change the law unilaterally. "We're the only country in the world where a person comes in and has a baby, and the baby is essentially a citizen of the United States," Trump told Axios in an interview that aired Tuesday. "It's ridiculous. And it has to end. Trump received a lot of pushback from lawmakers on both sides after making the comments, but Pelosi said it gave her party a big boost of optimism leading into next week’s midterms. When asked how she was "feeling about the next six days," Pelosi said: “Well, let me say this: Up until today, I would have said if the election were held today, we would win. Now I'm saying we will win." The White House didn't immediately respond to requests for comment from ABC News on Tuesday about Trump's proposed executive order.